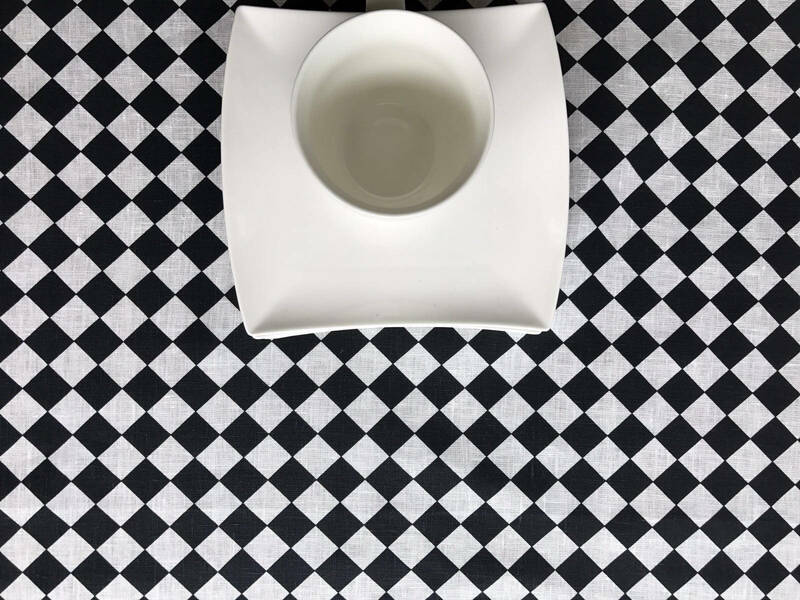 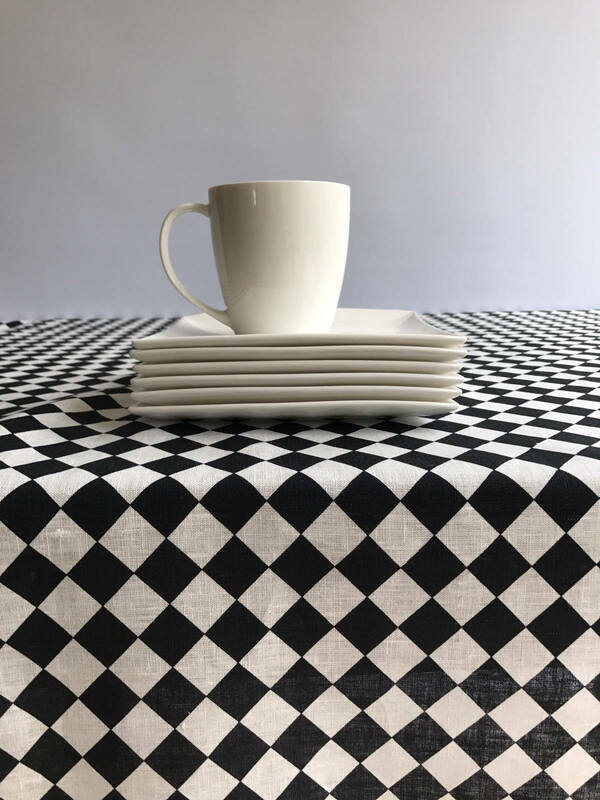 As if straight from Alice in the Wonderland, this linen tablecloth with black and white checkered print will add whimsy and geometric style to your room. 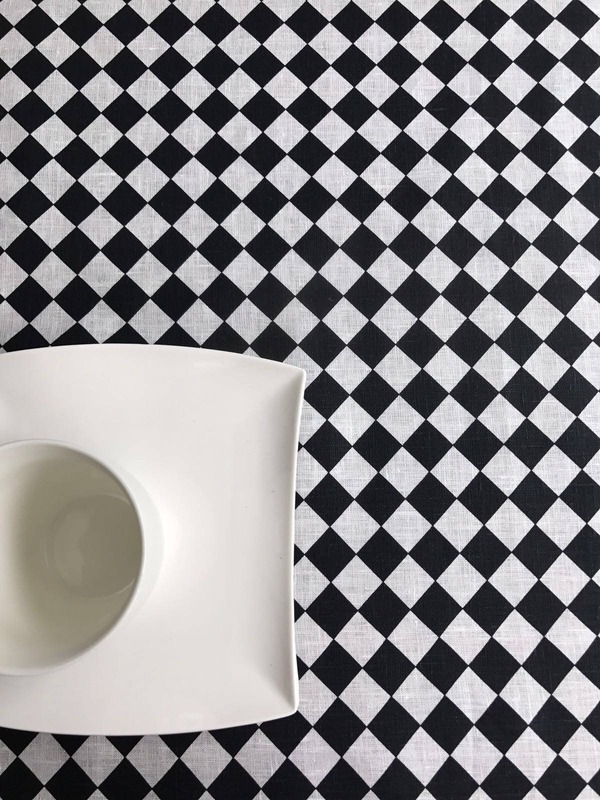 Available in various sizes. 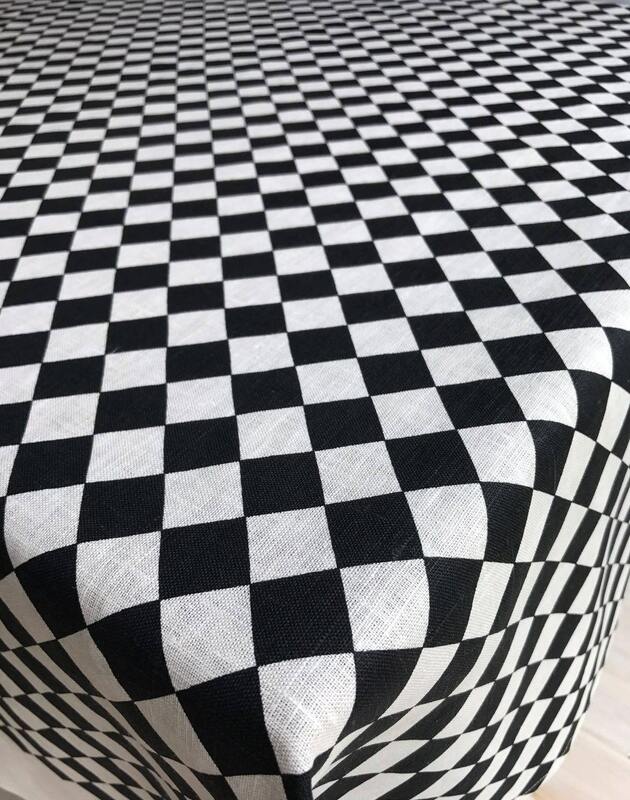 We can also make a round tablecloth with maximum 54" in diameter. 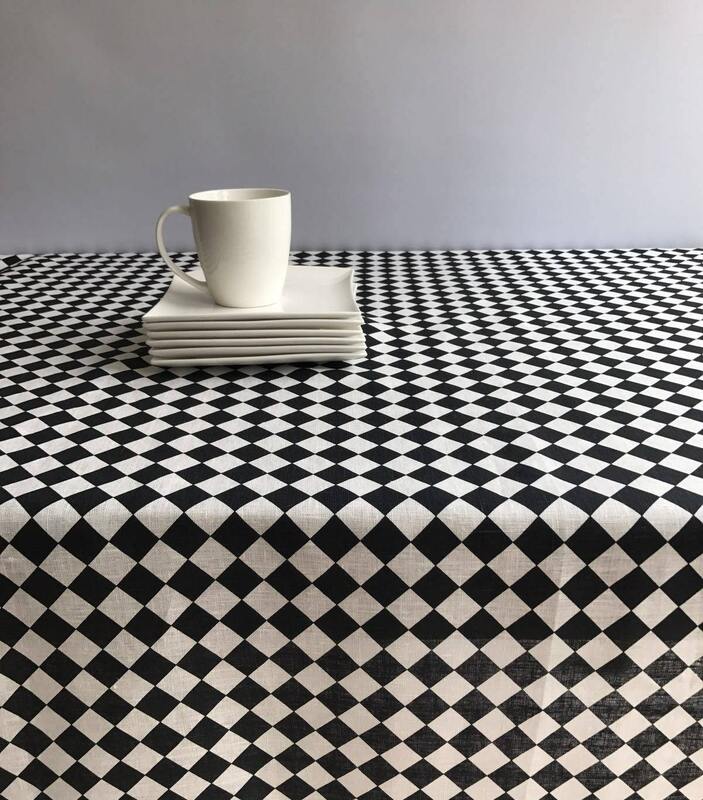 Please allow for ONE week to hand-tailor the tablecloth for you.